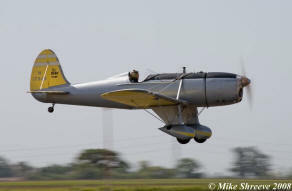 Like most airports, Sonoma Valley Airport works hard to maintain good relations with the neighbors. We kindly ask that if you plan to operate out of Sonoma Valley Airport please scroll down and review the following information. Contrary to the chart symbology, there are NO glider operations. CTAF is 122.9. The "Unicom" is not monitored. Please announce your intentions and look/listen for other traffic. 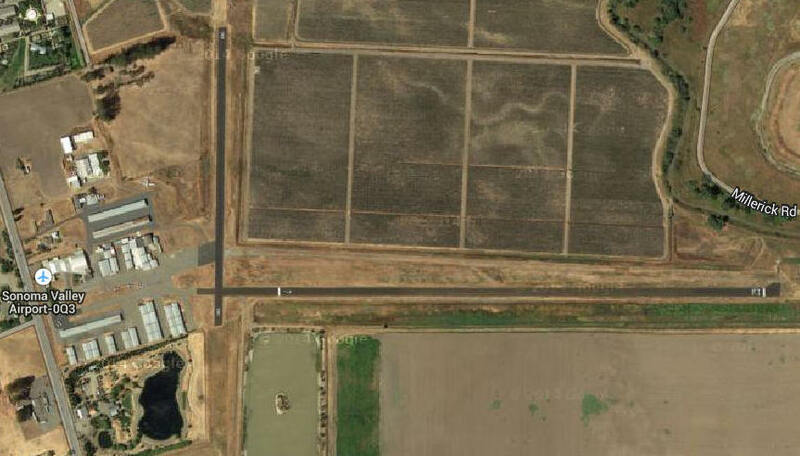 Numerous non radio aircraft operate from this airport. 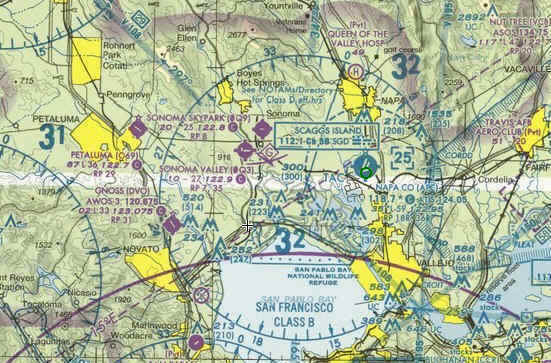 Absence of self-announce transmissions on CTAF frequency 122.9 DOES NOT indicate a lack of aircraft operating to and from Sonoma Valley Airport. Airport also known as "Schellville Airport" and thus "Schellville Traffic" may be heard during CTAF self-announce in lieu of "Sonoma Valley Traffic". Helicopters are allowed at airport managements discretion and with PRIOR PERMISSION only. Freshwater trout pond near southwest corner of the airport nearby threshold of Runway 35 is a bird and wildlife attractant and affect approach and departure from both runways 17-35 and 07-25. 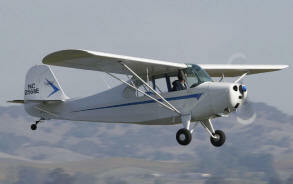 Pilots should ensure runways are clear of birds before takeoff and landing.